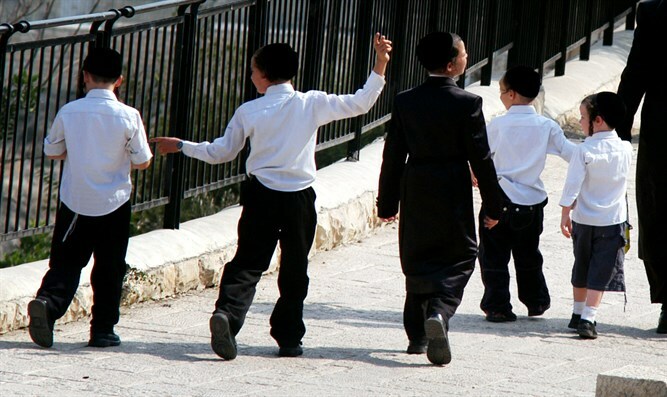 Haredi MK asks Education Minister to lower cost of afternoon programs for haredi families living in high-SES cities. Haredi MK Michael Malchieli (Shas) demanded Education Minister Naftali Bennett (Jewish Home) immediately intervene to lower the costs of afternoon programs for haredi families. The current pricing system was implemented in September 2017 as part of Finance Minister Moshe Kahlon's "All for the Family" program. It changed the pricing from each family paying 900-1300 NIS ($252-364) monthly per child to a system in which families living in cities with higher socio-economic ranking pay more, and families living in cities with lower socio-economic ranking pay less. Kahlon's change to the pricing system aimed to make it easier for parents to find and retain employment. Kikar Hashabbat quoted Malchieli's letter to Bennett: "Currently, there is no budget for afternoon programs for children 3-6, and parents who wish to leave their children in afternoon programs must pay full price, with no subsidies. This amounts to the outrageous cost of 800-900 NIS ($224-252) per child, and it is a new and unreasonable burden on families which are not managing to survive the month anyways." "It's true that there is no problem for the lower-ranking cities, since the Finance Ministry has allocated a budget them for this... But what happens in the higher-ranking cities, such as Petah Tikva, Rehovot, Gedera, Yokne'am, and Haifa? What happens in Modi'in, Kfar Saba, and Herzliya? Don't they deserve education, and the programs offered to others whose socio-economic status is similar to theirs?" Malchieli also said that the Welfare Ministry has refused to subsidize afternoon programs not under its supervision, and that the Education Ministry has said it cannot run things based on each family's income. "Who pays the price? The invisible public became even more invisible," Malchieli claimed. "What we have is a situation in which the rich pay less and the poor pay more, paying hundreds of shekels each month per child. The invisible become even more invisible, and collapse under the heavy burden of providing for their families. This situation is not logical and not just, and it should not continue even for another second." "I am sure that your concern about providing the best education in general, and especially for younger children, will be expressed through finding a quick solution for this difficult problem."